Drivers may find that they want to improve on driving skills. Others need assistance with after injury or illness, or simply want more practice and guidance. Go Driving School offers refresher driving to address these needs. Go Driving School refresher driving is $40 per hour. Payment for refresher driving is required before a student can drive, and can be made by cash, check, credit or debit card. Refresher Driving students must have a valid drivers license or instructional permit. No shows will not be rescheduled. Contact us if you cannot make an appointment. Once you submit the form below you will receive email confirmation from Go Driving School within 1-2 days. _ By completing this form and submitting it electronically, I certify that this application is factual, to the best of my knowledge. I accept the student behavior standards stated below in the Go Driving School, LLC Refresher Driving Policies and fully understand the consequences of failing to keep them. 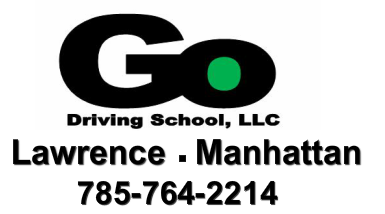 The mission of Go Driving School is to help students learn to drive responsibly and safely. We believe this is accomplished by maintaining high standards. Students must take responsibility for and be committed to learning. 3. To respect the Go Driving School, LLC office, the Area I building, and our vehicles. Should any property be destroyed by intention, the student will be held responsible for the cost of the damages. Failure to adhere to any of these agreements can result in termination of a behind the wheel session. Student termination for the above reasons will result in forfeiture of fees paid and remaining behind the wheel sessions.